Technology and human geography are among the recurring themes examined by a number of this year’s artists. Some examples include mobile applications used by Matthew Roberts to create augmented reality experiences dependent on user location, tapestries by Noelle Mason that reproduce satellite images along the U.S. – Mexico border where human smuggling occurs, and video by Sergio Vega that explores an early Spanish Colonial author’s theory that the Garden of Eden was located deep in the Amazon River basin. 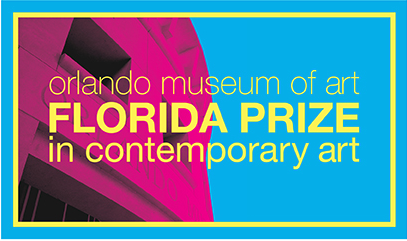 These and many other works reflect the diversity of ideas and concerns that are brought together in the Orlando Museum of Art Florida Prize in Contemporary Art.